PUREhappiness: update: the vegetarian experiment. 2) i am still eating animal products, such as eggs, yogurt, and cheese. we no longer drink cow's milk because it doesn't agree with us, and have mostly transitioned to sheep or goat's milk cheeses & yogurt. i buy these products from the farmer's market, where i can talk to the farmers/cheesemakers, and i am happy to know that these products come from animals who are treated humanely, and that i am supporting small farms and businesses and helping to strengthen the local food culture in my neighborhood. if we go out to eat, i am pretty much a vegan, unless we eat at a restaurant where i know the cheese or eggs or cream comes from an ethical, local source. 3) i am remaining vegetarian until the end of my yoga teacher training, which is mid-june. i am still deciding whether i will go back to eating meat at the end of my experiment (some days i crave meat so badly that i can't imagine staying a vegetarian forever, and some days i don't even miss it) and i want to make sure i'm considering all the options before coming to a final decision. i think most likely i will remain almost totally vegetarian, but will eat meat on occasion. i find i am really missing the ritual of preparing meat... a roasted chicken, steaks on the barbeque, slow-cooked lamb shanks... and i think for special occasions i will probably still want to be able to partake in these festivities. i am totally okay with throwing a veggie burger on the grill instead of a beef one, but somehow preparing a stuffed pumpkin just doesn't have the same appeal to me as preparing a christmas turkey. one thing i know about myself is that when i try to close a door permanently, i tend to become obsessed with what's behind that door (like the time i tried giving up processed sugar. disaster! i did it for a few days, but it was literally i thought about the whole time.) so i'd rather just continue to live in awareness and make informed, conscious choices based on my knowledge and intuition, instead of just saying "i'm a vegetarian" or "i'm going back to eating meat." special note: i know that i never will again eat factory-farmed meat, and that is definitely a door i'm 100% happy with closing. it's been harder than i thought to shift my mindset towards purely vegetarian meals. it's so easy to come home, throw a couple of pieces of meat into a frying pan, saute some veggies, cook up some rice, and toss it on a plate. that type of meal (meat-veg-grain) is what i grew up on, and it's so ingrained in both our minds that we don't even have to think about it. but shifting that to meals without meat required more than just taking the meat off the plate. we considered meat substitutes (i became comfortable with tofu, and then these articles definitely made me tread much more carefully), we learned more about non-meat protein sources (yay quinoa! ), and we ate a lot of things out of bowls (noodle bowls, rice bowls, pasta bowls, you name it... if it was vegetarian and cooked in my apartment, most likely it was served in a bowl). but we've been getting better, and paul's been incredibly supportive in my diet shift. usually i'll buy him a bit of ethical chicken or beef at the market, and he'll sometimes add it to his meal, but he's mostly gone vegetarian as well. we have a few mainstay recipes now, which i love, and i've gotten comfortable enough with them that i can modify them without consulting a recipe, to use what i've got on hand, and i'm excited to be sharing our favourite vegetarian recipes on curls&coffee over the next few weeks. overall, i feel great. i don't really miss meat! and that is really saying a lot from someone who, if you had asked me 18 months ago whether i would ever consider becoming a vegetarian you would have been deafened by the volume of my laughter. i love the new foods that we've become acquainted with, and i'm excited to try even more, and maybe eventually incorporate some meat back into the new recipes that i've learned. i have upset stomachs less often, i feel lighter, and i'm happier. i can't say i attribute all of those things to the vegetarianism (because since beginning the experiment, i have also been doing yoga much more often, i'm participating in more things that i find stimulating and itneresting, and i'm eating more healthy overall), but it definitely isn't hurting me. how about you... have you ever tried eating a purely vegetarian diet? how did it work out? what were your reasons? do you have any favourite, go-to vegetarian recipes? This is so awesome that you can continue to do this! I know it would be a decision that I would most definitely have to think about but I could probably go vegetarian! wow, good for you! it sounds like you are doing great! i don't think it would be terribly hard for me to be a vegetarian (temporarily, that is) because i love veggies so much. 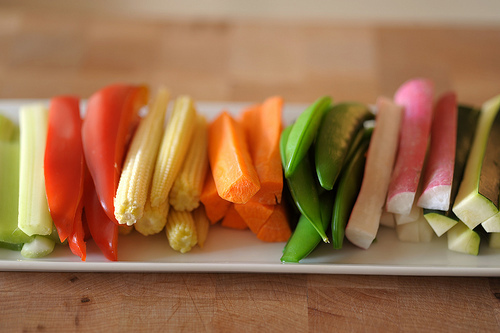 but it would be extrememly hard to cook for my hubby and i, considering he likes about 2 veggies (so, SO picky!!) i really need to start being better about the meat i buy though.. i just have a hard time spending the extra money.. do you know if trader joe's has ethically-raised meat (that's mostly where i shop)? or do you even hve trader joe's in canada..
Good for you, Meg! I've long eaten a 90% vegetarian diet with little to no dairy, but still eat local farmer's market eggs. Even when I have no meat in my diet, I've never called myself vegetarian because I also like to say that it's a choice for me to eat it or not. I'm always listening to my body and asking what would nourish it. Most of the time it's vibrant, whole foods, but sometimes I do want a piece of wild caught fish or a bit of roast chicken. I've temporarily been eating more meat now that I'm living in Ireland for a while-- veg proteins are harder to come by, and the farming practices are better here than in the US. And I'm dying without my blender for soups and smoothies, my regular staples! I think I'll go back to my former veg-centric ways when I get home since it's better for my digestion, but I always feel better when no food is officially off-limits. Plus, I find that I'm often satisfied with just a bite or two of meat off my husband's plate-- it's a flavor and texture thing for me, so little amounts to really savor are all I need. I'm glad your husband has been supportive; it sounds like how things work in our house as well. My husband loves them too. They don't taste overly beet-y; they're more savory and complex. They kind of take a while to prepare, but you can make the mix in advance and then shape and fry them as you need them. I dont think I could ever do all veg. I love chicken too much but lately I have been eating more plant based foods and i already can notice the difference in my body and energy. its amazing. I cant wait to buy a juicer. that's great! i have recently gotten totally addicted to veggie juices. carrot/apple/beet/ginger is my favourite combo... what's yours?